Ad Design Thanks to: Wendi Cochran Douglas High School. 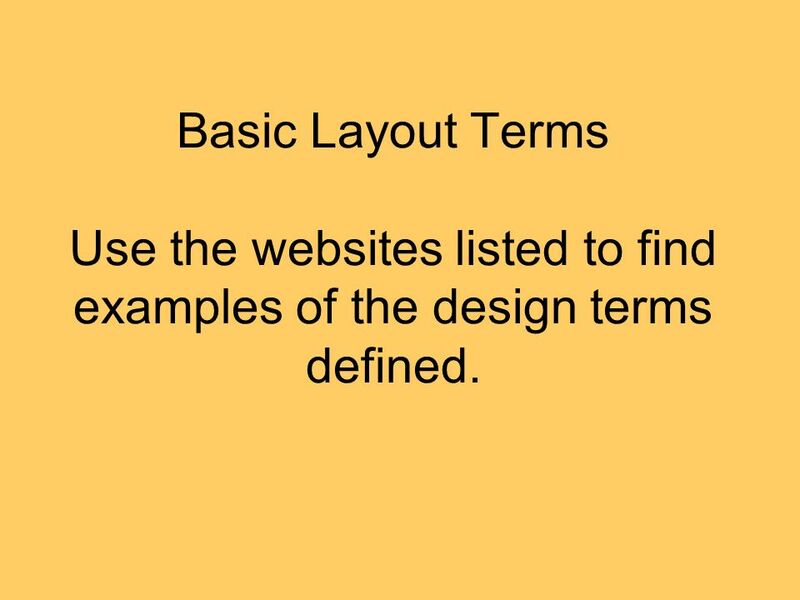 2 Basic Layout Terms Use the websites listed to find examples of the design terms defined. 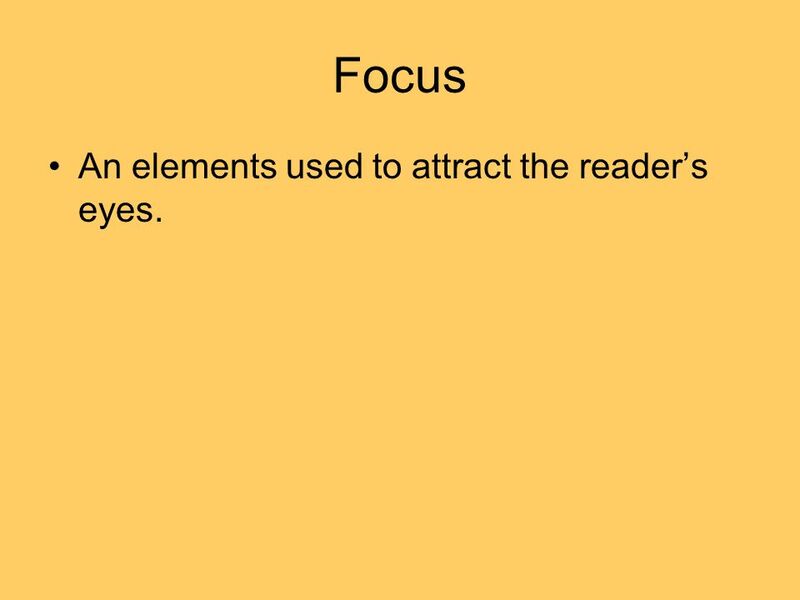 9 Focus An elements used to attract the readers eyes. 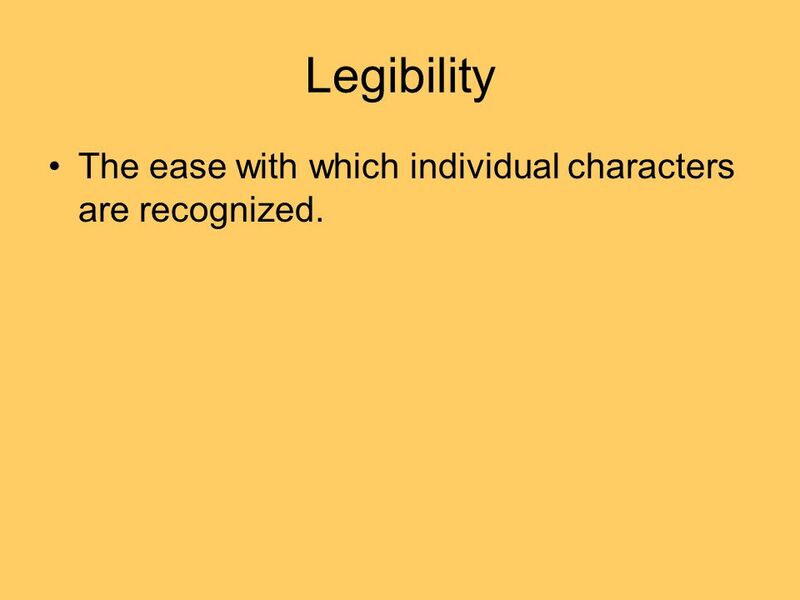 10 Legibility The ease with which individual characters are recognized. 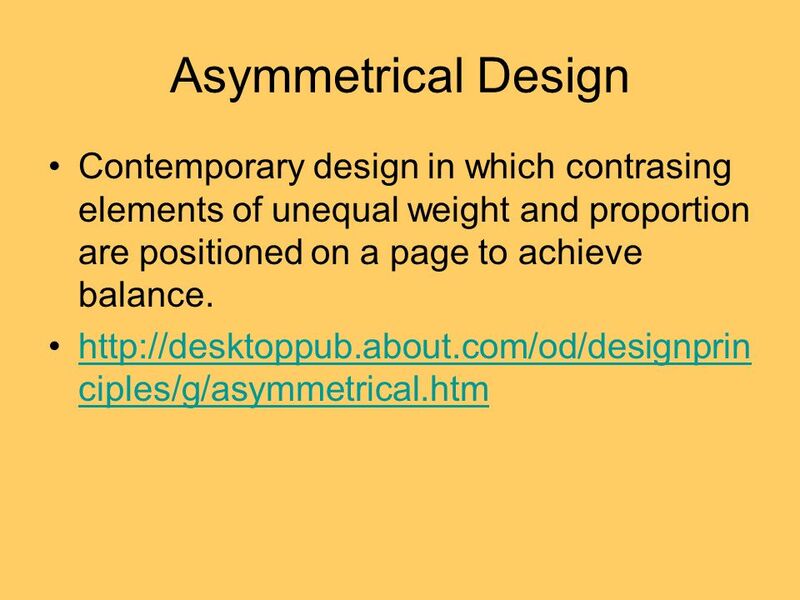 12 Symmetrical Design Balancing similar elements equally on a page(centered alignment). 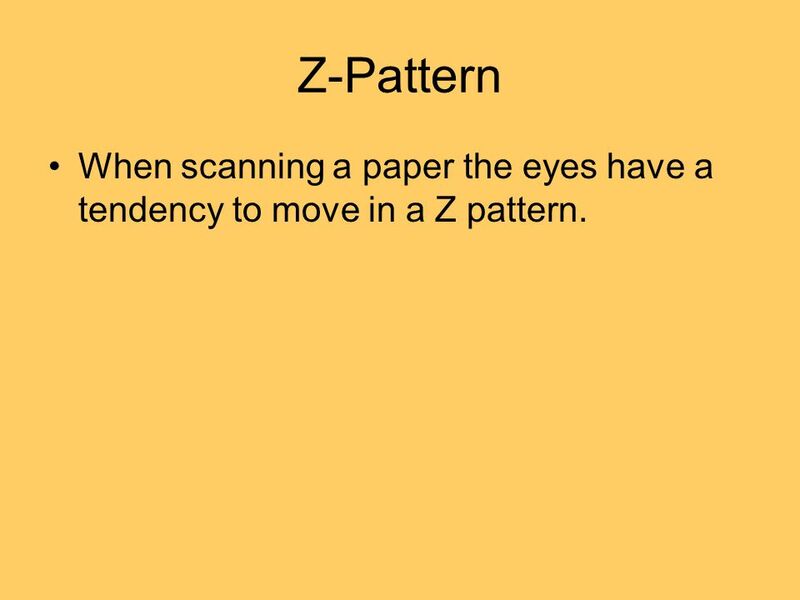 14 Z-Pattern When scanning a paper the eyes have a tendency to move in a Z pattern. 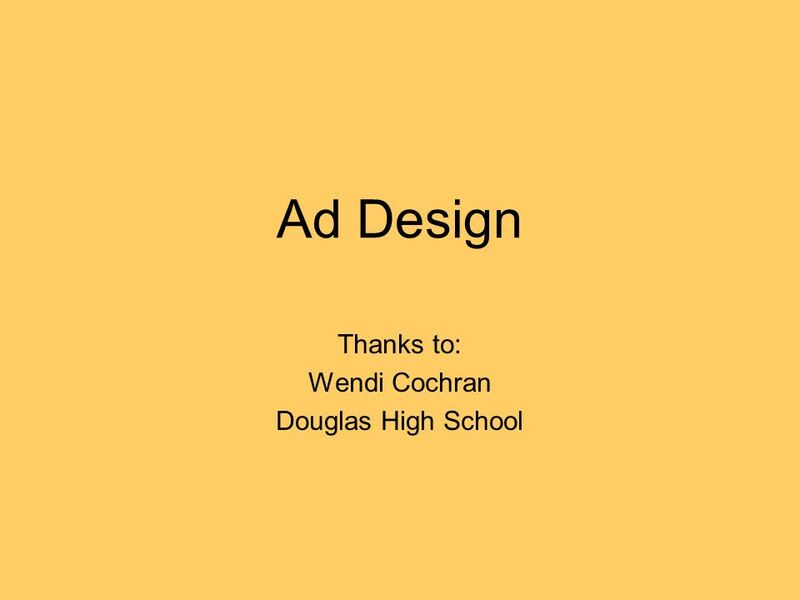 Download ppt "Ad Design Thanks to: Wendi Cochran Douglas High School." 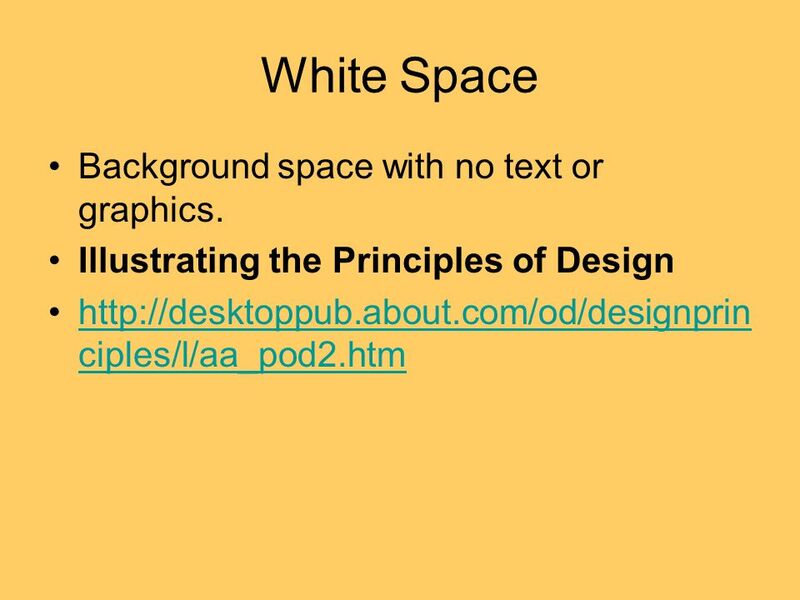 Good Graphic Design Good graphic design Says ONE thing Has a THESIS statement. 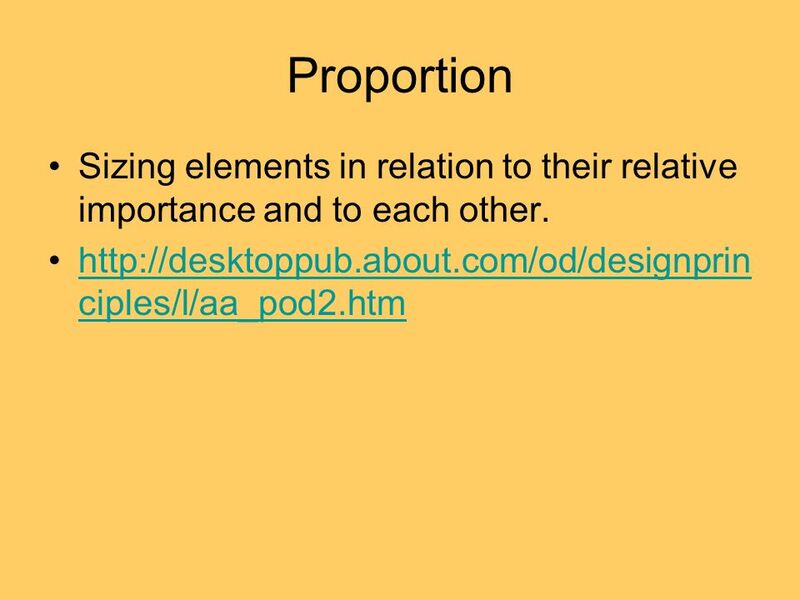 1.02 Investigate design principles and elements. Basic Desktop Terminology By Wendi Cochran Douglas High School. 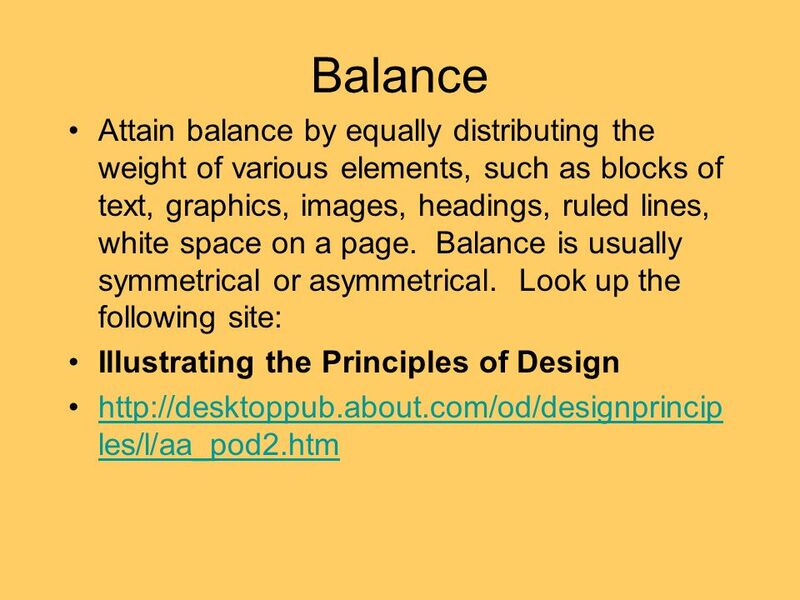 WEB DESIGN PRINCIPLES: Balance Web Design & Animation II Mr. Huang Voorhees High School Photo © rebuiltworld.co.uk and designmeltdown.comrebuiltworld.co.ukdesignmeltdown.com. Welcome to Module 1 In this lesson you will learn the basic principles of design: Balance, Proximity, Alignment, Repetition, Contrast and White Space. Strong red lines surround a human figure, echoed in the repeated human figures below. The warm (red lines) and cool (blue background and dancers) colors. 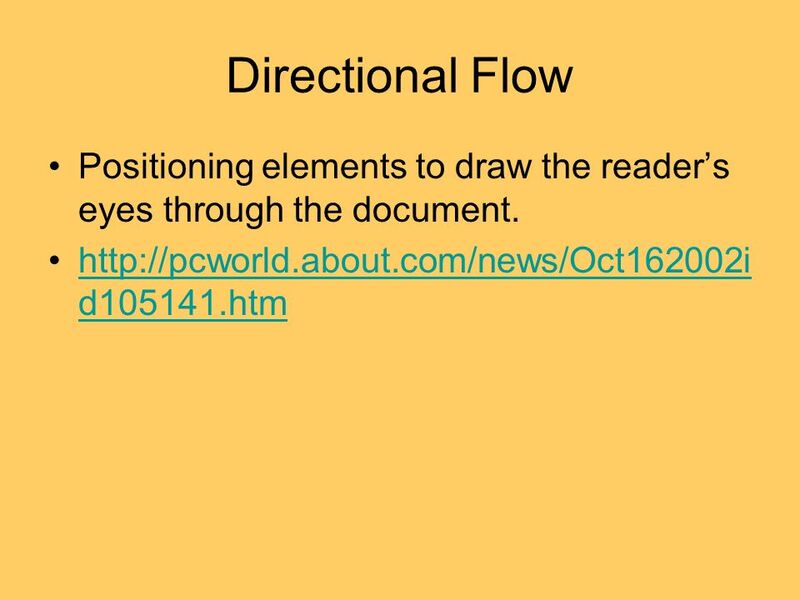 Graphics and Desktop Publishing Desktop publishing (abbreviated DTP) is the creation of documents using page layout skills on a personal computer Indicator. Designing Pages and Screens Comm Arts II Mr. Wreford. 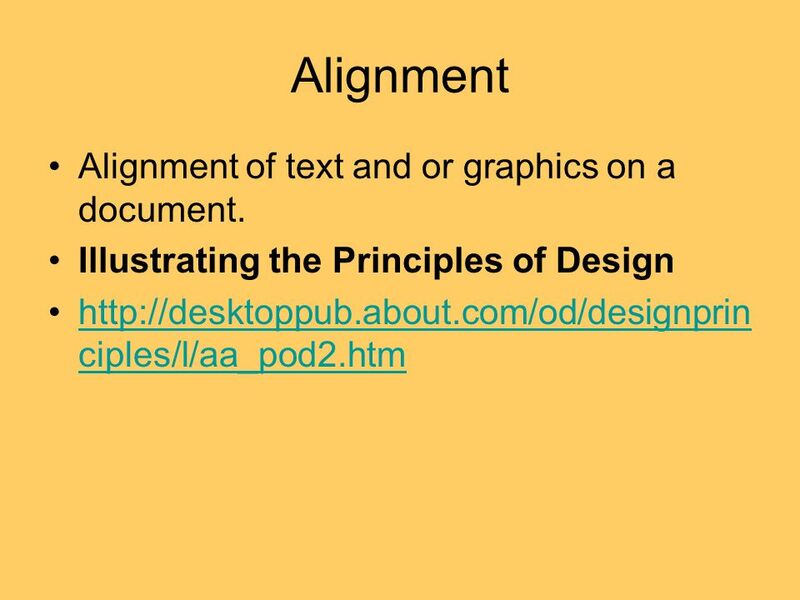 Design Principles 3.02 Understand business publications. Dobrin / Keller / Weisser : Technical Communication in the Twenty-First Century. © 2008 Pearson Education. Upper Saddle River, NJ, All Rights Reserved. D ESKTOP P UBLISHING W HAT IS DESKTOP PUBLISHING ? Using a personal computer, word processor, graphics editor, and page layout software to design, lay. Editing Page Design & Layout. Page Layout One of the most important things editors do.  Layout – refers to the design and orderly formation of the various elements of an advertisement.  It is where & how you place the various elements. 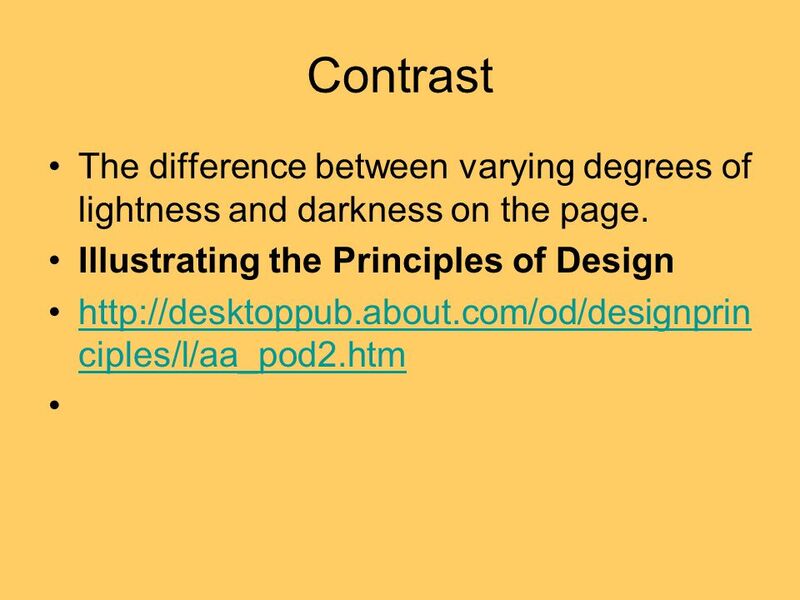 Principles and Elements of Design. 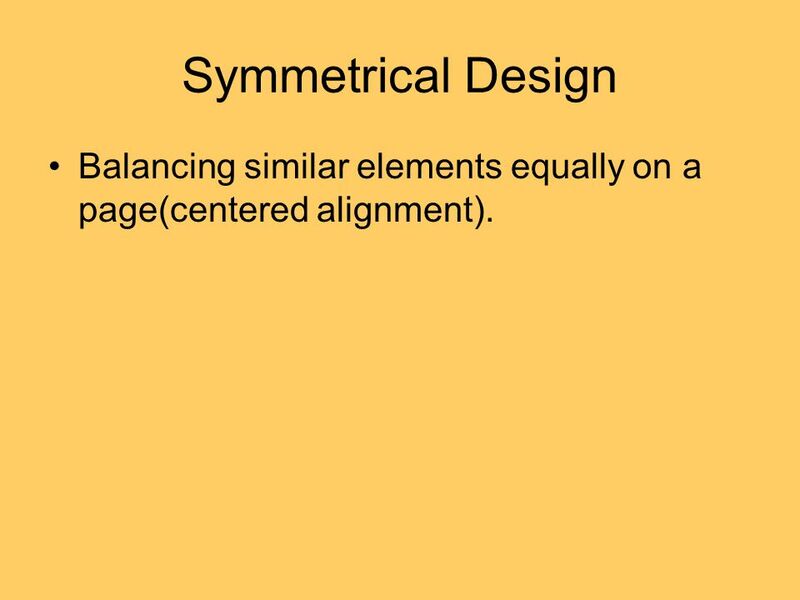 The Principles of Design Balance ▫Symmetrical ▫Asymmetrical Rhythm Proportion Emphasis Unity. 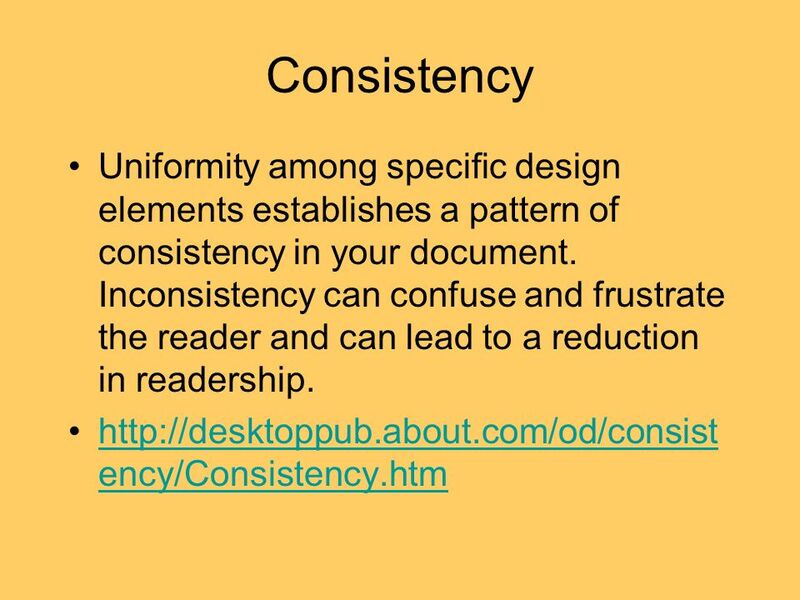 Design Principles 3.02 Understand business publications Slide 1. C.R.A.P.   Color balance : The colors of the entire illustration- grey, black, white and the contrast orange, seem like they were chosen without much.